These grade 316 toilet cubicle fittings are the perfect choice for those seeking satin stainless steel cubicle hinge fittings for 20mm partition and are suitable for fitting in wet areas such as shower cubicles and washrooms. 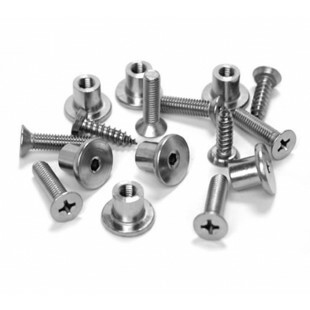 Our toilet cubicle fittings contain eight M5 x 18mm countersunk bolts, eight M5 T-nuts and four 18mm x 10mm undercut and countersunk woodscrews to ensure easy installation. 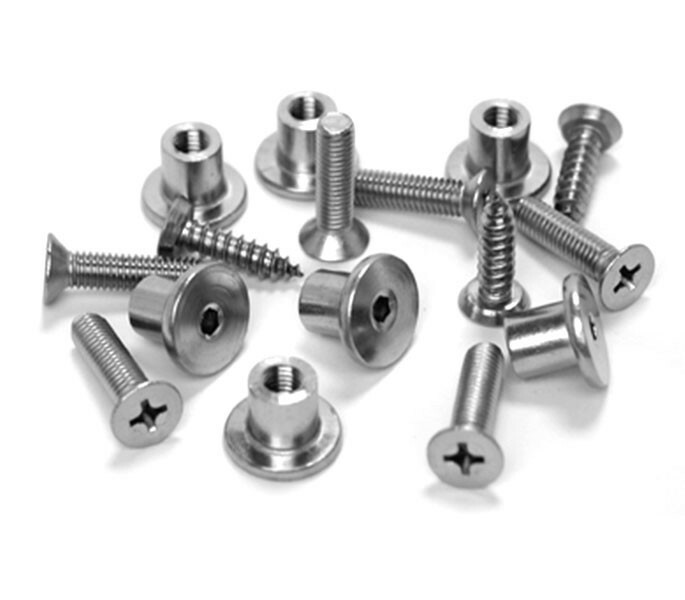 This product is ideal for fitting alongside a pair of T110SM hinges, which can also be ordered separately if required.